If you’re thinking the Colorado mountains might be the right place for your next meeting you’ve come to the right place. When you’re looking to plan your next executive retreat, sales meeting or industry conference, consider the possibility of holding a Colorado mountain meeting. With the setting of the Rocky Mountains, you can ensure your next meeting or event will be something that your participants actually look forward to attending! Colorado mountain meeting destinations can be the highlight of the year for your participants and we make finding the right facility in the mountainseasier than ever before. The Colorado mountains are home to world class skiing resorts that offer a myriad of meeting possibilities too. In the Winter its all about going downhill and the winter wonderland of these storied destinations. But in the Summer, the mountains of Colorado come alive with diversions of every kind. So, no matter what time if year, it is easy to attract participants when you tell them the meeting is going to be up in the Colorado mountains. 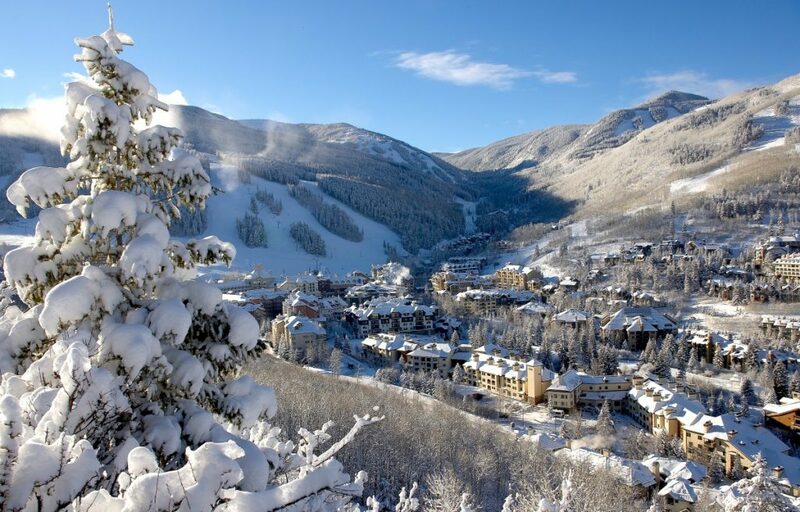 Vail is a world renowned sports destination, with a variety of meeting spaces. It features several purpose built facilities for meetings and conferences and is a well known popular vacation destination that is also well known for its facilities that cater to groups of all kinds. The resorts of Summit County are only a little over an hour from Denver but offer a variety of facilities at the “top of the world”. Winter Park and Estes Park are alsomountain destinations for meetings fairly close to the Front Range cities and services. They are far enough away to leave the rat race but close enough to offer convenience. Head further West to the resorts of Aspen, Snowmass, Telluride or Steamboat Springs and others, who all pride themselves on real western hospitality and feature a wide variety of facilities for conferences, meeting rooms and space that is sure to be perfect for your event in the mountains. No matter the reason for Colorado meetings, the mountain destinations will treat your participants to an enjoyable setting that provides the incentive to get some work done. Combining an attractive destination like the Colorado mountains with a good meeting or event agenda is a sure fire winning plan!